Everything you draw in Toon Boom Harmony is vector-based. Although, when you draw in the Camera or Drawing view, you will notice that your lines may be jagged, this is caused by the fast real-time display called OpenGL. The Full Scene Antialiasing is generated by your computer’s graphics card. This antialiasing will not only antialias your drawings, but all your different views in the interface. Full Scene Antialiasing is a preference you can turn on and off. By default, the Full Scene Antialiasing preference is disabled. Full Scene Antialiasing parameters are only valid while you work in your scene. The scene will be rendered out to 100% of its resolution regardless of your settings in the preferences or graphic card panel. This procedure requires that if you have a Mac OS you must restart the Harmony after you have changed the parameters. ‣ Mac OS X: Stage > Preferences. 3. In the OpenGL tab, go to the Full Scene Antialiasing section. ‣ Number or samples (For Mac OS): If you are using a Mac OS X computer, enter the number of samples you want to be used for the antialiasing process. The number of samples is basically equivalent to the amount of time a pixel will be enlarged to calculate the antialiasing. This technique is called supersampling. The higher the number of samples, the better the antialiasing quality will be, but the longer it will take to calculate. It is highly recommended that you use Full Scene Antialiasing. The Real-Time Antialiasing method is NOT RECOMMENDED as it is heavier to run than the Full Scene Antialiasing. Real-Time Antialiasing is generated by . 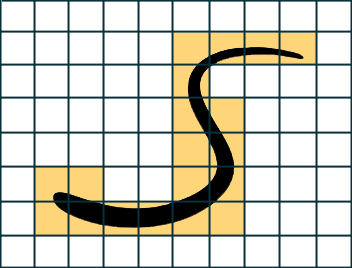 This means that when you draw your lines, the preview becomes antialiased as you go. If you zoom in more than 100% in the Camera view, pixels will start to appear. Your elements are still fully vector based. Only the preview becomes pixelated. Your drawings are antialiased to the scene’s resolution. Antialiasing is a preference you can turn on and off. By default, the Real-Time Antialiasing preference is disabled. This option lets you see the final result of your scene as you draw. 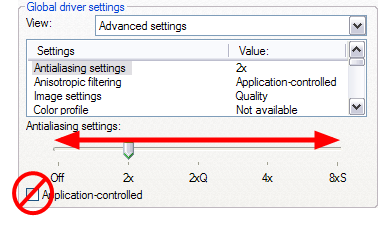 You can change the value of the antialiasing through the Preferences dialog box, to fit to the current zoom level used in the Camera or Drawing view or to disable it. Real-Time Antialiasing parameters are only valid while you work in your scene. The scene will be rendered out to 100% of its resolution regardless of your settings in the Preferences panel. 1. Select Edit > Preferences (Windows/Linux) or Stage > Preferences (Mac OS X). The [Ctrl] + [U] (Windows/Linux) or [⌘] + [U] (Mac OS X). 2. In the OpenGL tab, go to the Real-Time Antialiasing section. ‣ Enable check box: Click on the Enable check box to enable or disable the Real-Time Antialiasing. The [Ctrl] + [Alt] + [A] (Windows/Linux) or [⌘] + [Alt] + [A] (Mac OS X). ‣ Render at this Factor Times the Scene Resolution: The default value is 1. This value corresponds to how many times larger than the scene’s resolution you want your drawings to be antialiased. If you zoom into your drawings to 200% you should set the value to 2. ‣ Tile Size: When the drawing is antialiased, the whole is broken into small tiles to make the process faster. Only the tiles with artwork on are rendered out. When you modify a zone on your drawing, only the modified tiles are updated. • Making the tiles too small results in sending more tiles to be rendered out, which makes the process longer. • Making the tiles too large results in sending bigger tiles out to be rendered out which is more of a strain on the video card. Since the tiles are larger, they get updated more often because the artwork you modify may be one of these tiles.